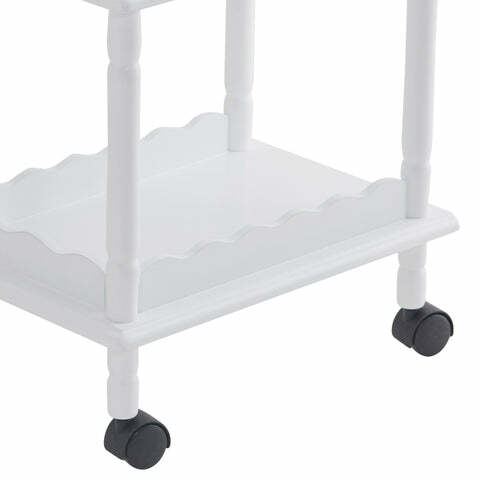 Time For Tea Trolley, White | Great Little Trading Co.
Pretend tea parties are the best fun - particularly when you have a sweet trolley like this; it's fun to wheel about and makes a great home for all those play food sets that otherwise get lost in toy boxes... It's one of our favourite wooden toys! It's made from sturdy wood, with four smooth-running castors; we've given it a durable painted finish too. Like all our toys and furniture it's fully tested for use by children. Team up your Time for Tea Trolley with our Toy Biscuits, our Toy Cupcake Stand or our Afternoon Tea Set.